Local juniors have dominated the Victorian leg of the Surfer Groms Comp in excellent conditions at Jan Juc Beach over the weekend. Organisers postponed the round, the tenth of the series, after a whale carcass washed up last November at the event’s planned location Ocean Grove. 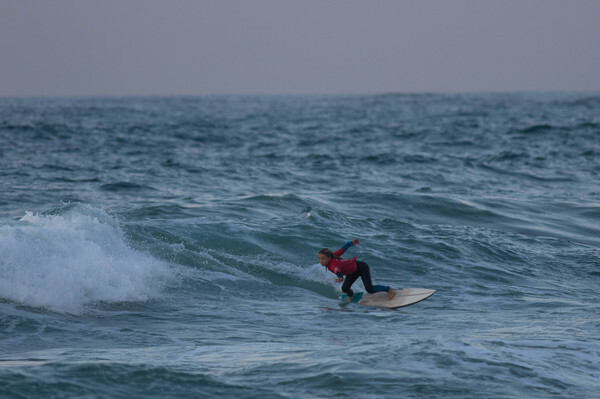 Torquay’s Tanner Reid kicked off the under 14 final on Sunday with a 7.67-point ride, attacking a right-hander culminating with an aggressive layback finish. 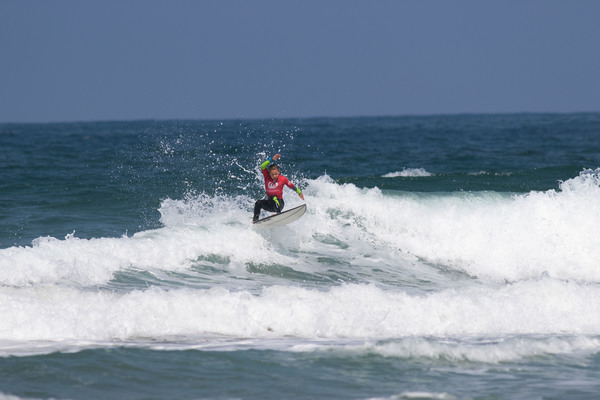 He went on to win the final in peaky two to three foot waves, turning around his form from the day before. “It’s such a fun event,” he said on Sunday. Isla Huppatz did her best to steal the show from her elder sister Mia’s under 14s win, with a combined total of 13.83 in the under 12 girls final. Her opening nine-point ride was the highest-scoring wave of the day’s competition, putting her opponents on notice early. “It’s good to have an event close to home,” she said. She also won the female Star Performer award after her devastating run of high scores throughout the weekend. Under 12s winner Jerry Kelly’s explosive attack turned heads and secured him the Star Performer award for the boys. Other division winners included Jan Juc’s Remy Filer and Cedar Davie (under 10 boys and girls) and Armstrong Creek’s Kai Coleman (under 8 mixed). Air Of The Day went to Jarvis Barrow (Jan Juc) for his last minute forehand straight air on his way to second place in the under 10 boys. 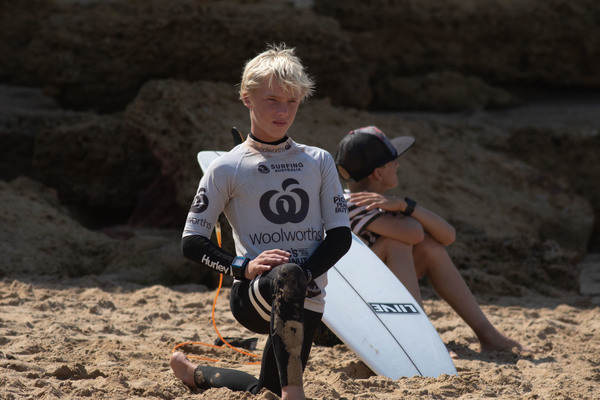 The series is one of the major stepping stones in the development of young Australian surfers, with rounds across the country. The two under 14 champions will receive an invite to an all-expenses-paid, three-day surf camp at Surfing Australia High Performance Centre.